Thirsty for an exotic island getaway? 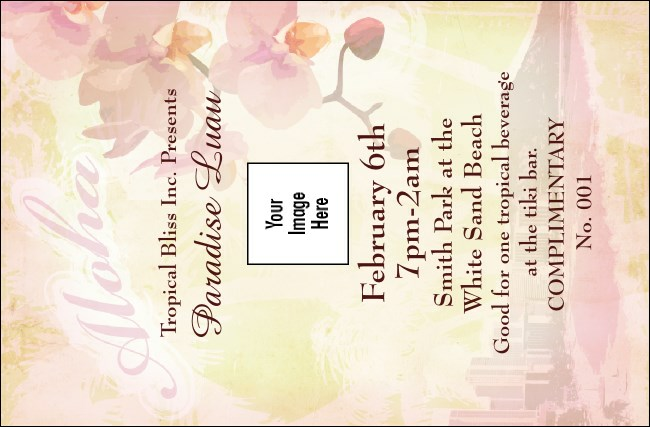 The Honolulu Drink Ticket with its soft, romantic view of Hawaii’s capital city and coastline helps you sell more drinks ahead of time and allows your guests to relax and enjoy the luau! Customize when you upload your own logo or image to our ticket template. Personalize your ticket! Upload a custom image through TicketPrinting.com!